Words can't describe the beautiful setting of this residence. 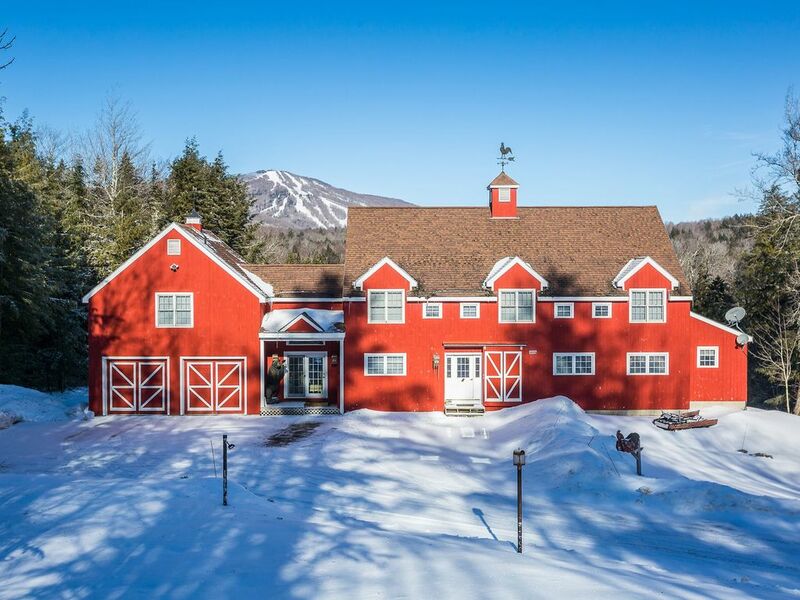 Whether you choose to relax or go skiing, shopping, hiking, bicycling, rafting and or golf, or just enjoy the views of the Vermont mountains, this fully furnished one bedroom, one bath and kitchen guest apartment that sleeps four is your home away for many activities. The apartment has a spacious living/kitchen/dining area that enjoys views of Bromley ski trails. The first floor private entry foyer is perfect for storing personal belongings such as skis and boots. We stayed for an extended weekend of skiing and hiking with our college age son in tow and it was perfect for us! We loved the separate entrance, large mud room for ski gear, and the fabulous views of fields and forest with Bromley ski resort in the distance. The apartment was in excellent condition, very clean, and by and large well stocked, with ample parking and a huge and nicely private lot. We especially appreciated the personal touches, like a bottle of wine left for us upon arrival - a great surprise! It snowed a good bit while we were there and the plow cleared the long driveway by 8am. It's very convenient to Bromley but also close to Stratton, or Vermont's famous Long Trail for hiking. Our only suggestion for improvement would be blinds on the living room windows if anyone is using the pull out coach in the living room for sleeping. That's it, though. Everything is super and we will definitely stay again if we are back in the area! It was warm, welcoming, and a good value. We are very happy you enjoyed your stay. We certainly hope you will come back again. You were a pleasure to have as a guest.